Wholesale Single Holographic Column One Trim Trophy - White Plastic Base - 13-1/2"
Single Holographic Column One Trim Trophy - White Plastic Base - 13-1/2"
Single Round Holographic Prism Column, with one trim, Trophy. See pages 1495-1497 for figure, see pages 1498-1499 for trim, see page 1501 for column, and one laser engraved plate is included. Black Plastic Base, 3-5/8" x 5-3/8" wide x 1-1/8" high. Weighted plastic bases may not be pure white or black. Contrasting colors could be molded into the base. NOTE: Components may vary from picture. Height will vary depending on size of figure selected. Column height is 7". 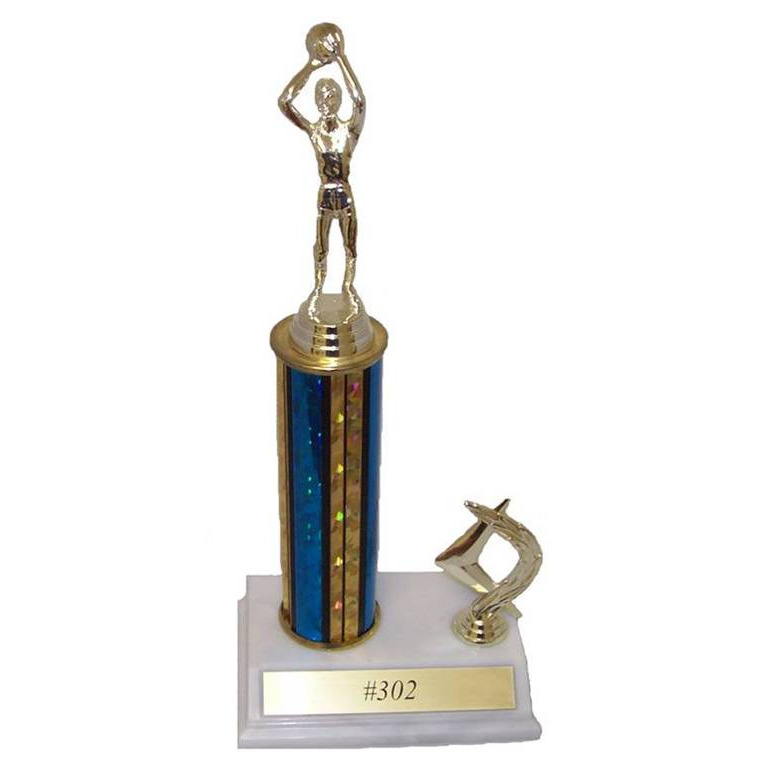 Golf, Female - Oval Legend Plates - 8"
3 Column, 2 Tier, Cherry Base, Multi-Round Column Trophy - 26"
Wholesale Single Holographic Column One Trim Trophy - White Plastic Base - 13-1/2",Custom Single Holographic Column One Trim Trophy - White Plastic Base - 13-1/2"